HHC has taught environmental protection and stewardship to over 6,000 students on O‘ahu, the Big Island, Kaua‘i, Maui and Moloka‘i. 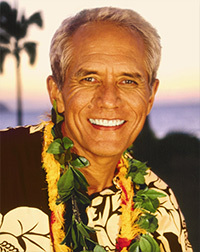 In 1996 Mike Gabbard and daughter Tulsi Gabbard joined forces with people who were concerned about the environment in Hawaiʻi. They formed an organization called People for Environmental and Community Health (PEACH). In 2001 the organization was renamed Healthy Hawaiʻi Coalition (HHC). HHC is a 501(c)3 non-profit, educational organization made up of concerned citizens from across the state, whose two-fold purpose is to protect the environment and to improve individual and community health. We are motivated in our efforts out of respect and love for the ‘aina and for all life that depends on it. We recognize the interconnectedness of our polluted natural environment and our degrading personal health. Through community education, government lobbying, and grassroots activism, HHC strives to preserve and restore environmental quality, which supports individual well-being and vitality. HHC has been teaching elementary school children about protecting our land and water since 2002 thanks to grants from the Kailua Bay Advisory Council and the Department of Health, Clean Water Branch. HHC Founder Mike Gabbard was born in 1948, one of eight children whose father felt privileged to devote his life to serving his country in the U.S. Air Force. Selfless service was a way of life for Mike's family. Protecting our country and the values America represents — democracy, freedom of speech, freedom of religion, and all the other rights and freedoms we cherish — was seen as more important than the family's comfort or convenience. Mike’s personal desire to be of service to his country and community also extends to his natural environment and he enjoys working with other members of HHC to protect Hawaiʻi’s precious ʻaina. Mike is currently the State Senator for District 20 in West O‘ahu. He previously served on the Honolulu City Council from 2003-2005 representing Ewa, Kapolei and the Waianae Coast. Tulsi Gabbard was raised in Hawaiʻi and was taught from a young age to love and respect our land and oceans, and sees Healthy Hawaiʻi Coalition as a vehicle to share that love through education and action. She served in the Hawaiʻi State House of Representatives for two years, until she deployed to Iraq with the Hawaiʻi Army National Guard. Upon her return, she worked as a legislative aide to U.S. Senator Dan Akaka in DC, specializing in issues relating to veterans affairs, energy, natural resources, and homeland security. She deployed a second time to the Middle East with her National Guard unit as a Military Police officer, and successfully brought her platoon of 33 Soldiers home. 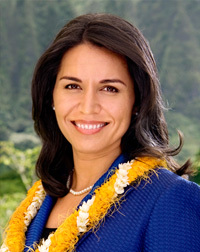 Tulsi served on the Honolulu City Council from 2010 to 2012. Tulsi is currently the Congresswoman for Hawaiʻi’s 2nd District and continues to work toward protecting and conserving Hawaiʻi’s precious environment.